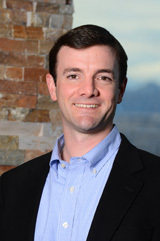 Bennett Thompson joined KRG Capital in 2007 as an Associate, and was promoted to Vice President in 2008, Principal in 2012, and Managing Director in 2015. Thompson has served as a member of the Board of Directors for several of the Firm’s portfolio companies. Prior to joining KRG Capital, Thompson was a Vice President with Heritage Partners, a Boston-based, private equity firm. Previously, Thompson was an analyst with Harris Williams & Co. where he completed numerous middle-market merger and acquisition advisory assignments across a broad range of industries. Thompson graduated from Washington and Lee University with a Bachelor of Arts degree in Economics.